To some, music means everything. A life without music is unfathomable. Because its underlying root of happiness. It makes your mood. It guides your day. And it’s beautiful that many have found music in their lives. Yet not everyone does. Sure, most people will listen to music at some point in their lives – even throughout each day. But not everybody makes a conscious decision to harness the power of music. And that’s the thing – music is powerful. Yet, you won’t always be able to reap the full rewards of what music can offer, because you’re not actively choosing to do so. Music, as with all creative outlets, has the power to change your life. Yet some people never really let this idea in. They don’t recognize the power or even believe that they are a creative person. However, to some extent, we are all creative being in one form or another. When you don’t believe that you are, it could just be that you haven’t yet been able to tap into your creativity or work out what makes you tick. But when you do, there’s a power found in that one single movement that allows you to make big changes in your life. But how do you make this happen? And why should you allow creativity into your life? Let’s take a look at what some of the benefits are, and how you can bring more music into your life for the better. So first of all, we’re going to look at why music can be so powerful. It can seem like a hobby, it can be something that you do for fun – but this is all something that you do on a very basic level. But then also, when you look at how music can go deeper, your thoughts on this can change. 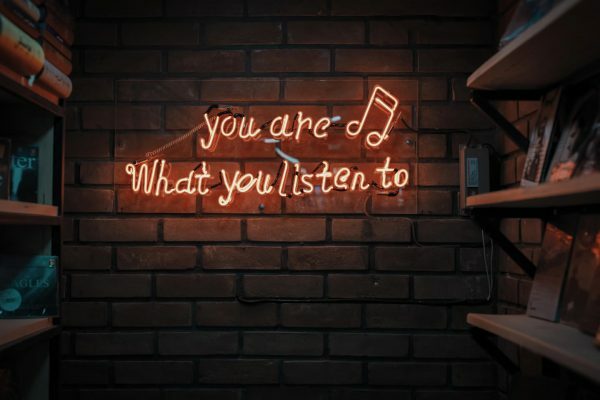 Because music can perk you up when you feel down, it can support you when you want to have a good cry, it can add atmosphere to an event, it can add drama to a situation. It truly is magical. One of the questions that you might be thinking of right now, is why this matter? Why do you need to be creative? Why should you pursue more creative endeavours or look to bring out the creativity in you? Well, it’s great to be well rounded in life, isn’t it? And to make sure that you’re fulfilled and living your best life, right? So why wouldn’t you want to be able embrace creativity to do that? You could find your calling or true happiness in life by bringing out your inner creative. It also allows you to make something or contribute something, and that’s definitely something special. What should creativity look like to you? Now, one of the pitfalls that you may have here, is that you’re not really sure what creativity looks like to you. 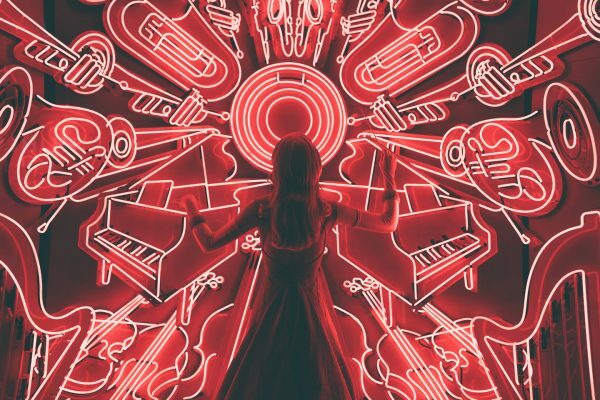 Even when you decide that you want to embrace the power of music or be more creative, it’s important to know what the best course of action is for you to get started. Maybe it’s singing or learning to play music? Maybe it’s exploring new music? Maybe it’s going to shows or events? Or is it composing? Theatre? Teaching? Sometimes, you even want to take this and combine it with another form of creativity, like writing, art, or dance too. Now, it’s time for you to start moving forward and making things happen. It’s one thing to have an idea of what you want to do or achieve, but something completely different for you to be able to start making moves to bring this into your life. And most of the time, knowing where to start is the issue. So here’s how you’re going to do it. Get to know yourself – To begin with, you need to know yourself. What you like, what you don’t. What fuels you. How you prefer to learn or grow. By doing this, you’ll be in the best possible position to awaken your creativity. Listen to more music – Then, you just have to dive on in. Listening to more music is the best way to start. When you wake up, as you get ready in the morning, on your way to work, while you work, on your breaks, on the commute home, as you shower to prepare dinner, in the evenings for enjoyment, to help you to sleep – you literally have so many opportunities to listen every day. And not just to the same stuff, but all different types of music too. But the first step is just to bring more music into your life. Understand what drives you – As you’re doing this, you’ll then want to look out for any connections. Try to understand what it is about music that drives you creatively. Or where your passions lie. This then allows you to start to feed into your creativity and to harness the power of music in your life too. Try new things – As humans, we get set in our ways. So you may find that you only ever listen to one kind of music, or what’s played on the radio. But this is limiting. So you’ll want to make sure that you’re able to find new music and try to work out what genres speak to you the most. Because this might be why you’re not connecting to music as much as you’d like – you’ve not found your sound yet. Use your body – Another thing that might help you to find tune what’s going on in your mind here, is committing to using your body more. Sometimes, exercise or dance can fuel you creativity, give you energy, and clear your mind. Meditation can also have the same affect. Or maybe you want to embrace more creativity in terms of acting or taking drama lessons, starting to sing more for enjoyment or fulfillment, or even something like writing or drawing to embrace your creativity too. Explore your creative angles – Now, another thing that you might want to consider working on here, is how you can look to explore all kinds of creativity in your life. Do you want to try out lessons for every kind of instrument. From the piano to drums to the violin – just to see what fits? Do you even want to see if writing is for you or maybe composing for film or TV? Even journaling and photography or art can then boost your creativity with music here. Surround yourself with the right people – Who you spend time with can help you here too. If you seek out more creative people and actively look to connect with other creatives or musicians, you’ll find that this has a positive effect on your creativity levels. Hire experts – You can even take that idea to the next level by looking to hire experts too. Sometimes, you need tuition. Someone to teach you how to play the piano or drums. A vocal coach. A writing coach. Anyone that can add value to your journey of becoming more musical and allowing more creativity into your life. Invest in your creativity – To go alongside that, you need to invest in your creativity too. It’s essential for you to be able to create. From a Yamaha piano to a recording system, record player to trips to different shows, you need to be able to align your financial habits here. When you’re channeling your money into your creativity, it’s going to allow you to really blossom. Create a plan – And then, you need to make a plan. Because if you’re going to learn a new instrument, or go to gigs, or start a band, you need to work out how. And making a plan can help you to do this. Making this a habit and allowing yourself to figure out how you’re going to bring music into your life is so important in terms of making it stick. So give yourself that blessing and work out where you want to take this, and map out the steps you need to take to make it happen. Finally, you just have to make sure that you take your future into your own hands. If you truly want to get closer to music or you want to make something of your life in the field of music, or you just want to embrace a more creative change for the future, the ball is in your court. You just have to act on it. It’s time for you to be able to decide how music can transform your days and how you want to feel in life, and then make that first move. So, sign up to that class, buy that instrument, take a course, teach – just make your very first move right now. Because your creative future starts today. Next entry Audio production, PC or Mac?